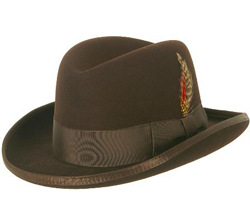 Mensusa https://www.mensusa.com/articles/stetson-cowboy-hat-for-the-bold-and-fashionable-men.html Stetson Cowboy Hat- Fashion Adornment For The Bold And Fashionable Men The stetson cowboy hat is a fashion adornment that enables you to make a powerful and bold public appearance. You can pick these hats in the instances of attending the casual parties and other special events that are hosted on casual spirit. If a man has to appear impressive and impacting, he has to do it by upholding his masculinity. In men's fashion, the cowboy fashion adornments serve this purpose. The cowboy hats enable the fashionable man to cast a bold as well as a highly-fashionable image. The stetson cowboy hat is among those fashion adornments that you must have in your collection. These hats will support you to make such a public appearance that will surely get noticed and appreciated. 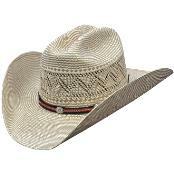 The stetson cowboy hat is constructed with straws and hence it comes extremely light weight. You will be impressed with the flawless construction of these hats. The perfection in making ensures that the hats lasts for long. As these hats are constructed with straw and it is very lightweight, you can carry the headdress easily and conveniently. The cowboy hats from Stetson is featured with its sharp cut along the front and the twisted design along the rims. The head crown is given a circular design. In some hats, you will even get a band that will pass through the chin to hold the hats in place. These adornments speak style on very bold notes and enable you to get to the notice of the crowd around you. The cowboy hats majorly serve you in the easygoing dressing needs. However, in contemporary times, the designer had conceived some design that you can pair with your apparels for the prom and special events. The cowboy hats are to be used during the daytime occasions. It is a wonderful choice of accessory during the summers as it protects the head from the sun rays. However, the cowboy hats can be used during the fall-winter and spring time as well. The cowboy hats are the adornments for those brave hearts who aspire to make a bold and fashionable public appearance. The best part about these hats is that it enables you to appear sophisticated and decent as well. You get the availability of these hats in various designs and colors and hence, you can expect to get the one that matches best with your choices and preferences. A stylish adornment like the cowboy hats will act as a rich impetus to uphold your fashion pursuits. Thus, you get manifold benefits in pairing your apparels with the cowboy hats from Stetson. www.mensusa.com holds a wonderful collection of cowboy hats as it holds for the other fashion adornments and apparels for men. The products available at this store are always top most quality and you can expect to get these products at the most reasonable prices.